At the end of the 19th century in the United Kingdom one particular disease was considered a significant threat to certain wild salmon fisheries and data gathered from these fish provided the basis of a detailed description of the condition known today as ulcerative dermal necrosis (UDN). Historically UDN has occurred in Ireland, France, Sweden and Norway but in the UK this condition had largely disappeared or was not reported since the 1970s. Research from this period suggests that UDN can persist for 3-4 years in individual rivers and then disappear. 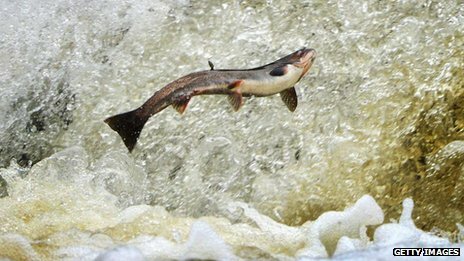 Recently, Marine Scotland Science diagnosed ulcerative dermal necrosis (UDN) from Atlantic salmon stock that originated from the River Spey. Sea trout are also susceptible. This condition is a naturally occurring condition of wild fish and despite significant research no recognised cause including no link to an infectious agent. Furthermore UDN has never been reported from farmed fish. UDN is believed to start during homeward migration and is primarily a lesion of epidermal and dermal layers of the head area. Confirmation requires histological examination of early skin lesions which is considered the only specific signs of the disease. However, secondary infection by Saprolegnia, a normal part of the river ecological system, reduces the likelihood of a correct diagnosis. Marine Scotland will cooperate with District Salmon Fishery Boards and will monitor any further incidents. Further information can be obtained by contacting Marine Scotland at MS.FishHealth@scotland.gsi.gov.uk. More information can be found in the UDN topic sheet. Scottish wild salmon is to join the likes of Parma ham, Melton Mowbray pork pies and champagne in becoming a protected product. The fish is to be granted protected geographical indication (PGI) status, meaning it has a particular quality attributable to its place of origin. It means salmon caught in other countries cannot be packaged, sold or advertised as Scottish wild salmon. The ruling by the European Commission comes into effect in 20 days. Scottish farmed salmon was awarded PGI status in 2004. 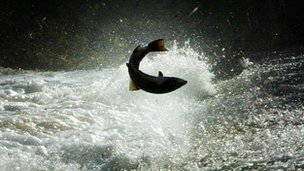 “PGI status has helped to enhance the reputation of farmed salmon in major export markets. “It is a good promotional tool and helps to protect against imitation. The salmon will join a list of about 1,000 products which are protected by the legislation, including Scottish beef and lamb. TV host Chris Tarrant and UK Music boss Feargal Sharkey to join petition handover to Fisheries Minister Richard Benyon. Campaigners from the world of angling will be joined by celebrities Chris Tarrant and Feargal Sharkey when they handover a 16,000 signature petition on Wednesday (22nd Feb) calling for action to limit the devastating impact of the UK’s rapidly increasing cormorant population and its effect on inland freshwater habitat and ecosystems. 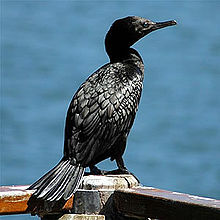 Scientists have calculated that each cormorant needs at least a pound of fish a day to survive, and there are now an estimated 23,000 non-native invasive cormorants over-wintering in the UK from Holland, Denmark and other parts of Europe compared to a couple of thousand in the 1980s. This means that at least 23,000lbs of our freshwater fish get eaten EVERY DAY throughout the winter – a total and unsustainable loss of 2,760,000lbs of fish every winter causing damage to our native bio-diversity. The petition has been organised by the Avon Roach Project headed by Trevor Harrop and Budgie Price and ably assisted and supported by internationally renowned wildlife film maker Hugh Miles who are working to try and re-establish healthy roach populations in their local river Avon after heavy cormorant predation contributed to numbers crashing to critical levels between Salisbury and Christchurch. 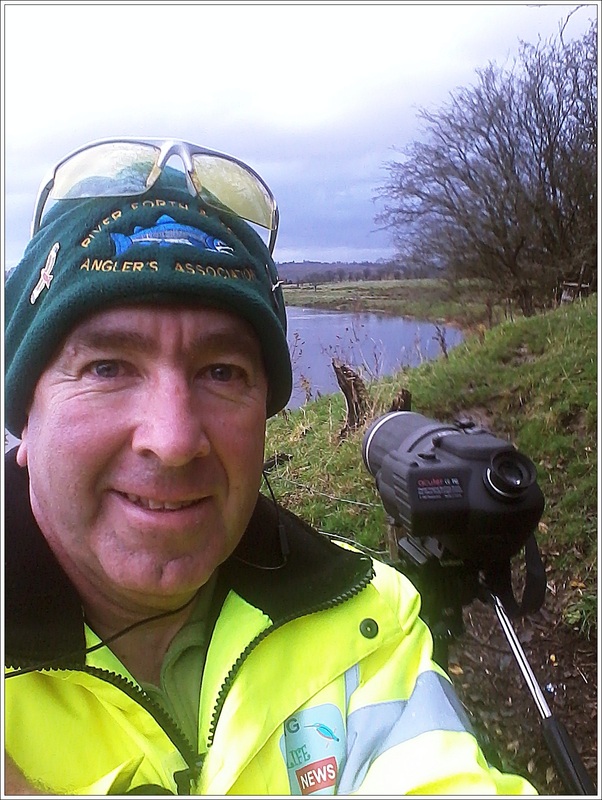 Their efforts are strongly supported by the Angling Trust as the single representative body for angling in England and the Salmon and Trout Association. This predatory bird has a grace in the water. They have been recorded of taking 86 different species of fish from tiny fry to 2 and a half foot conger eel. 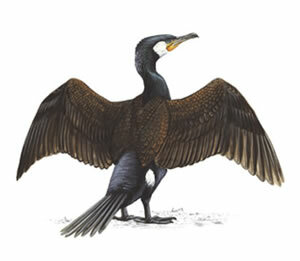 The cormorant has an elasticated throat pouch and a specially hinged beak, one bird was recorded eating a waste filled plastic bag, and one with an 11 inch kitten in it’s stomach. Since 1967 it’s had legal protection, the impact it has had on fish stocks and illegal persecution has become important envirmental issues. It’s estimated that their is as high as 15 to 20,000 inland birds, they can eat roughly 12 to 31 Oz,s of fish and can dive to 31 feet. Where birds can be proven to have serious impact on fish stocks, licences to shoot are granted, in 1996/ 79 licences were issued in England and scotland, 424 birds year 2000 . Where their is major cormorant impact on fish stocks their needs to be a controlled number reduction. 100,000 atlantic salmon were recorded caught across scottish salmon rivers in 2010. Well above the average of 76,000 information and research comes from A.S.F.B. Association of salmon fishery boards and R.A.F.T.S. Its the biggest recorded since 1952. The scientists believe that this is due to better survival at sea.